The Bear, Rosie, Panda, the wolves, and other animals in the forest are hungry! Who will feed poor animals? Masha of course! With the help of kids this restless little girl will cook oatmeal for every character from the popular cartoon "Masha and the Bear"! But each animal wants different ingredients. Find them all and make the best oatmeal ever! Are you ready to make oatmeal with bananas? Or with ham? Masha will teach toddlers how to make oatmeal with anything! Every animal in the forest will come to Masha's cafe and order a dish. They even may come twice a day! With every new visitor in your cafe kitchen the oatmeal recipes will become more interesting and complicated. Cook all the orders! The game is suitable for kids from 2 to 8, it has the initial interface so that even toddlers can play without parents. 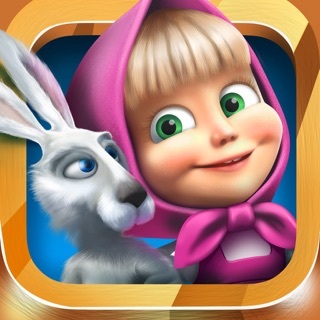 If your children love games about cooking or diner games, "Masha Cooking" is the best choice for them! With Masha, the Bear and other animals kids will train their intelligence, logic and attention! - Minor edits and fixes are made. 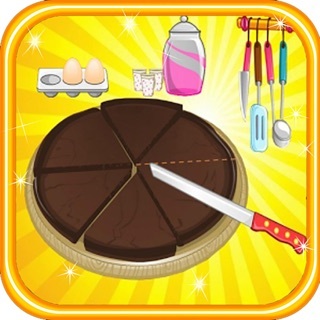 Let's cook cake and kasha with funny Masha! Enjoy your meal!